This protocol is designed for those individuals who are not capable of ingesting CD in the same way that most people can. Particularly with the MMS activated with citric acid, there are reported cases of possible after effects such as diarrhea or vomiting. There are people who are sensitive to even just one drop. I have found out that large body parasites may be eliminated with chlorine dioxide. It’s very likely that many parasites are indeed affected by dioxide, and end up dumping all their residues at once in the affected organism. These toxins are the cause of discomfort. Those who have practiced de-parasitization according to our protocol are later capable of taking high CD doses without any after effect. We use CDS because it’s more tolerable and has fewer after effects. We use 1 ml. of CDS for 500 ml. of water spread out over the first day. On the second day, we use 2 ml. of CDS in 1 liter of water. If there aren’t any adverse effects (and normally there aren’t any), we can increase the dose every day from now on, 1 more ml. per liter until we reach 10 ml. of CDS per liter of water. It’s important to know that we are increasing the dose progressively, without forcing the body at any time. If there is a lot of fatigue, we don’t increase the dose until it disappears. Since every body is different, we have to adapt it to each person’s needs. Once we reach 10 ml. per day, we keep it until the next Full Moon, when the de-parasitization protocol starts. In order for it to be successful, we need to follow it as accurately as possible. During de-parasitization, we continue with the same CDS dose until the complete disappearance of the symptoms for as long as it is necessary. 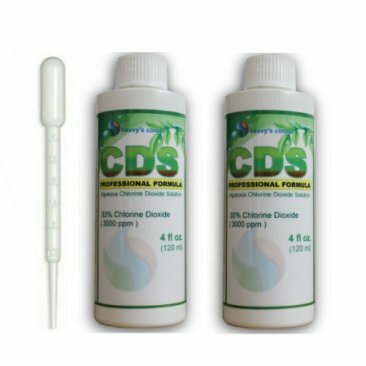 CDS doesn’t accumulate in the body because it’s an oxidant. More protocols are described in the Health Recovery Manual. ​DISCLAIMER: Let it be known that you consent and assume any and all responsibility in the consumption of any product you purchase as a result of your visiting this website or watching any videos. Furthermore, you accept any and all possible damage, loss or injury felt to be experienced as a result from one's exposure to any content, product or information discussed within these videos and the contend on these web pages. Remember, always consult with your medical practitioner or health care professional when dealing with any severe medical condition. All we provide here is INFORMATION. This is not medical advice. Use it how you wish knowing that you are responsible for your own actions. This information has not been approved nor endorsed by the Food and Drug Administration.